Coming up with ideas for everyone on your list can be challenging, but we're here to help! Here's a roundup of some of unique gifts that will make this a year to remember. Give a cozy throw blanket. 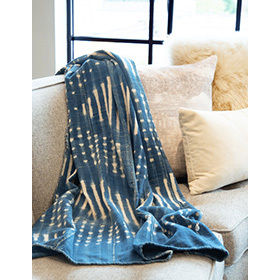 This one is extra special because it was handmade in west Africa and dyed in indigo using a resist technique to create one-of-a-kind patterns. Beautiful and functional, these slip cast porcelain pieces have unglazed exteriors that are comforting to hold and clear gloss exteriors. 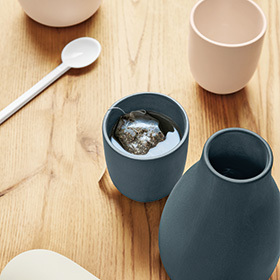 Hint: The carafe and tumbler are a nice touch on the nightstand in a guest bedroom. 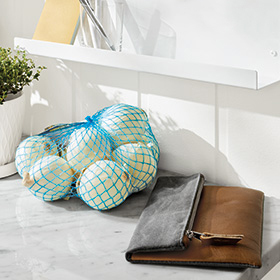 Help them keep their outdoor space as organized as their indoor rooms. 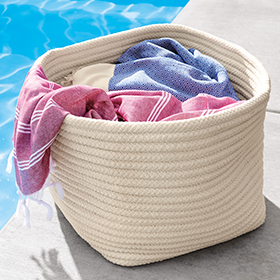 Stain and fade resistant, these versatile bins are easy to clean, too—simply hose them off. 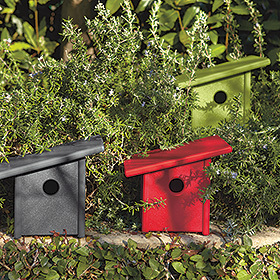 Your favorite bird watcher will love this modern bird house. Plus, it's good eco-friendly! Made of 100 percent recycled plastic, this tiny home resists fading and stands up to any climate. 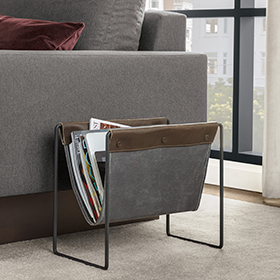 Help keep clutter corralled. With its classic waxed cotton canvas and leather sling, this timeless storage solution makes a great gift that fits any room style. The steel base ensures it is strong and durable. Present organization on the go. This carrier is meticulously crafted from waxed canvas and domestic leather, with a zippered top that folds over neatly with a snap. Give them a special space for reading or gaming. 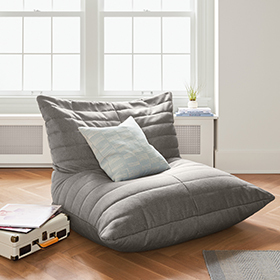 A modern—far more supportive—take on a beanbag, this comfy chair is easy to move around the room and made to mold to whomever is sitting in it. 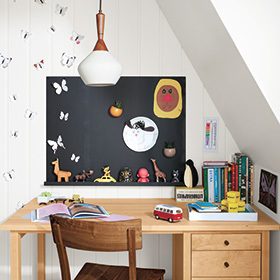 Display artwork, photos and more. Made of natural steel, this board features a ledge along the bottom that serves as the perfect catch-all for small items.